In this course I teach the basics of interpreting Vimshottari Dasa as provided in the second volumn of Parashara's Brihat Parashara Hora Shastra. One of the unique things I teach in this course is to examine the position of the Dasa lord in transit at the beginning of the Dasa. 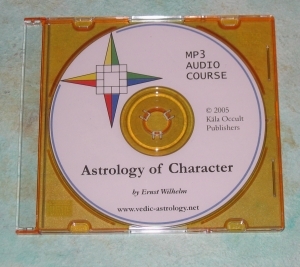 This course is approximately 10 hours long and is available on mp3 audio CD or as an mp3 download. Includes manual and study charts. Also available on video at www.astrology-videos.com.